More than double the proportion of Israel’s general prison population comprise of Palestinian and other non-Jewish inmates, a freedom of information request has revealed. The Israeli Prisons Service (IPS) stated that out of 20,568 inmates, just 5,659 are Jewish and 12,397 are Arabs. Another 2,512 prisoners are classified as “other,” which includes asylum seekers being held in detention camps and other non-Israelis who are not of Jewish or Arab backgrounds. The figures, which were obtained by +972 Mag’s Noam Rotem, emphasizes the high rates of Palestinians being held in Israeli prisons. For those underage, IPS claims it has 281 prisoners. One hundred are Jewish, 160 Palestinian, and 21 “others”. However, according to human rights group B’Tselem, 511 minors are in Israeli custody, which would make the proportion of Jewish juveniles in prisons a mere 13 percent. Israeli forces have been repeatedly condemned by human rights groups for abducting Palestinian children during late-night raids and detaining them without trial. A report from Human Rights Watch in May 2016 found that the number of children detained since October 2015 has more than doubled in the West Bank, and minors were being frequently abused by Israeli security forces. Sari Bashi, country director of Human Rights Watch in Israel and Palestine, has condemned the practice. The majority of prisoners from the occupied territories (81 percent), are allegedly “security prisoners” rather than the other 19 percent, who are “criminal prisoners,” according to the IPS numbers. Such prisoners are denied many basic rights other prisoners are guaranteed, such as access to higher education, phone calls and regular visitation. Furthermore, out of the 6,283 ‘security’ prisoners held in Israel, around 30 are Jewish, which is roughly 0.5 percent. Raghad Jaraisy, director of the Arab minority rights department at the Association of Civil Rights in Israel, told +972 Mag the figures show how much Arabs are discriminated against in Israel. “The daily discrimination the Arabs in Israel experience, the absence of frameworks that would prevent young people from resorting to crime, lack of resources for the preventive care, poverty and hardship, all come together to explain the disproportionate number of Arab prisoners,” Jaraisy said. A study commissioned by Israel’s Courts Administration and the Israel Bar Association found that Palestinians are given harsher prison sentences than Jews convicted of the same offenses. Some adult Palestinians are also going on hunger strike to highlight being held without charge or trial. According to Addameer, a human rights organization that documents Palestinian prisoners, 750 prisoners remain under administrative detention in Israeli prisons. Bilal Kayed was the latest prisoner to suspend a 71-day hunger strike after an agreement for his release was reached. 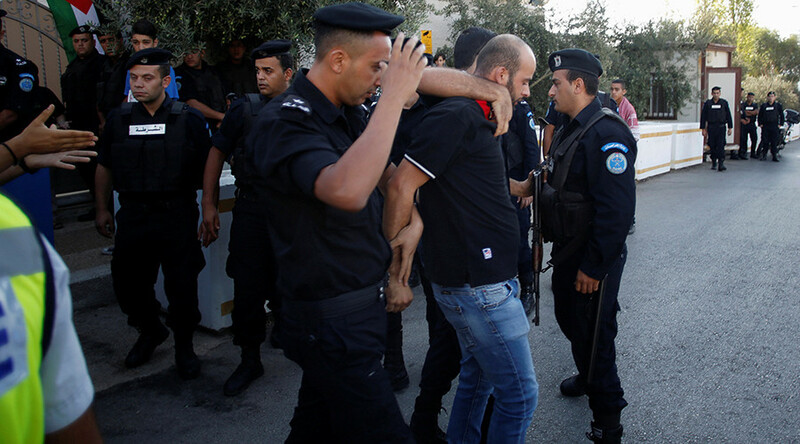 He was put under administrative detention for six months after completing a 14 year prison sentence for reportedly working for the Popular Front for the Liberation of Palestine, a group deemed as a “threat” to Israel.